Hi there. 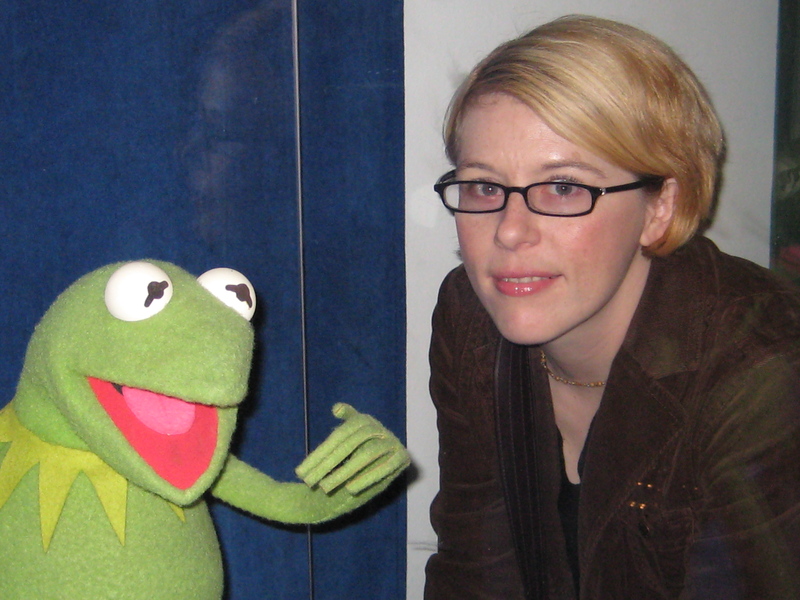 I have a confession to make: I LOVE the Muppets. I love the story of the Muppets, and I have since I was a kid. I love Jim Henson, and his creativity, and his heart. Like him or not, you can probably appreciate the amazing things he’s done in children’s educational television. I learned how to read at age 3, and my parents say that Sesame Street played quite a big part in that. I was fascinated by the Muppets as kid. Later as a preteen, I saw a “making of” documentary of the movie Labyrinth. I saw Brian Froud’s concept illustrations for the characters, page after sketchbook page of wild and wonderful creatures, and I was FLOORED. You mean this guy’s JOB was to create strange creatures?!? I learned that Jim Henson had a Creature Shop, and wrote him to ask how to get there. I filled the edges and borders of my paper and the envelope with doodles as elaborate as my pre-teen imagination could come up with. The people at the Creature shop wrote back, and were so positive, telling me to study puppetry, to learn to sew, to draw and continue to draw, and to never stop creating. They apologized for Jim being so busy on set of a new movie, but that he had taken the time to hand-sign a photo of himself and the Muppets for me. While I veered eventually from puppetry itself, the inspiration of that letter, that photo, never faded, and in my mind, they’re both still covered in wonderful magic fairy dust. As an adult, I saw the documentary “Being Elmo,” and am not ashamed to admit that my eyes watered tears of amazement all the way through it. The magic hasn’t worn off. Jim Henson once said that he’d like to leave the world a bit better place than when he got here. I think that’s an admirable goal, even in the littlest ways, even in our own direct little worlds. I don’t have any lofty plans for gigantic world-changes, any political hugeness or desire for public protest. 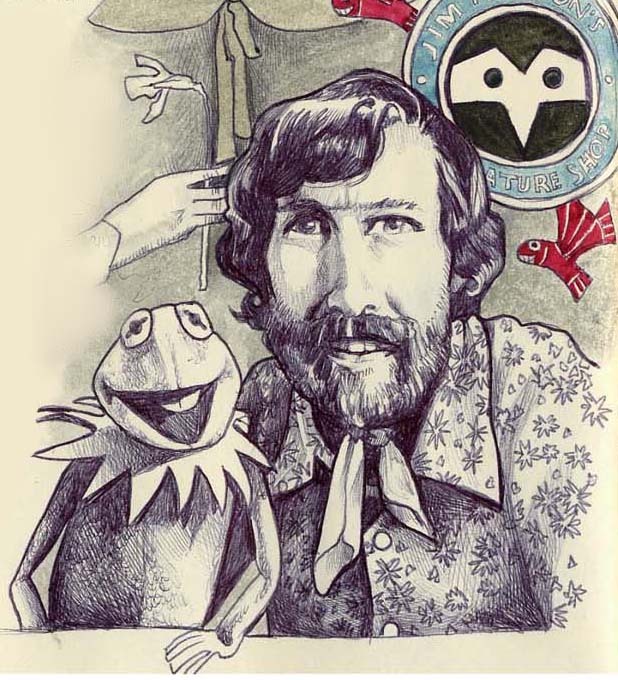 The lessons I’ve learned from Jim Henson: that you can change the world simply by being who you are, and by doing what you love, by how you interact with people, one person at a time. EVERY time. To be yourself and to do what you love, to try to find that same thing in other people. I still believe; in magic, flying reindeer, faeries, mermaids and the like. Can’t imagine my life any other way — each day is a marvelous adventure. Great post. This might sound weird but the you tube clips from his memorial are some of the most beautifully hilarious tributes I have ever seen. I think it says a lot about someone,how they are honoured.